Hi Alex, So ideally I need this cabinet at 300mm depth. The drawers using blum tandem would be 270mm. can you send us your cabinet? 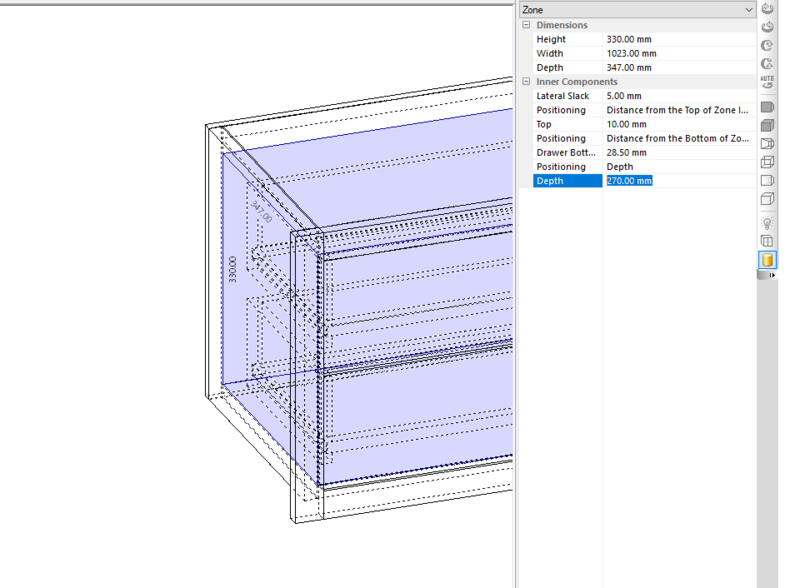 Hi, I am trying to adjust the drawer depths in the drawer sub method and for some reason its not working. I am selecting the blum/ tandem method. I am then going into the assembly details and change the depth to suit the runners/ cabinet. This changes the depth in the view within the drawer assembly window, but when accepting the changes nothing happens to the actual drawers within the cabinet…..